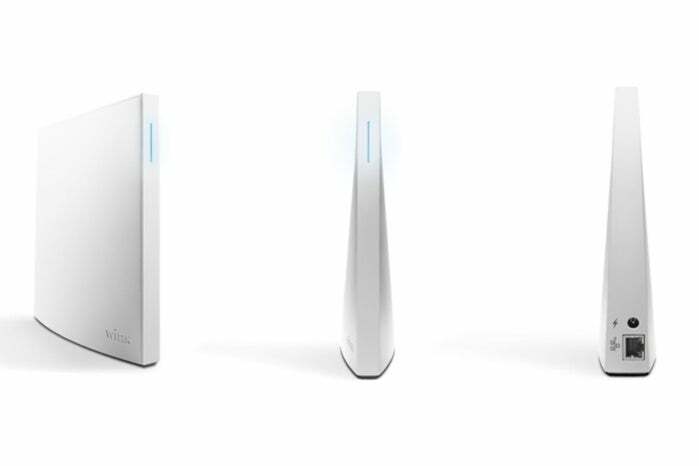 Z-Wave, ZigBee, Bluetooth LE, or Wi-Fi, the second-generation Wink Hub can control every aspect of your smart home. Editor's note, July 28, 2017: Wink has been acquired by i.am+, the company owned by Black Eyed Peas band member Will.i.am. If you have a mixed environment of smart light bulbs, smart appliances, smart thermostats, and smart everything else in your newly smart home, you might find that coordinating them all is, well, not as smart a process as you’d like. What you need is a smart home system that can gather them all up under a single app, letting you manage everything from a single interface. The SmartThings hub, now manufactured by Samsung, has been the easiest mainstream product to recommend for some time. These days, the Wink Hub 2 is giving the tech behemoth some badly needed competition. The Wink Hub 2 also has a new parent, Flex; part of the aftermath of tech-incubator Quirky's bankruptcy. Like SmartThings, the Wink Hub 2 is a square, white box that connects to your home network. Wink has an immediate benefit over SmartThings here: The Wink Hub 2 can be set up over 2.4- or 5GHz Wi-Fi (and thus placed anywhere), where the SmartThings hub must be tethered to your router via an ethernet cable. In fact, Wink recommends that the hub be placed at least 15 feet away from your wireless router if you’re connecting the two via Wi-Fi. 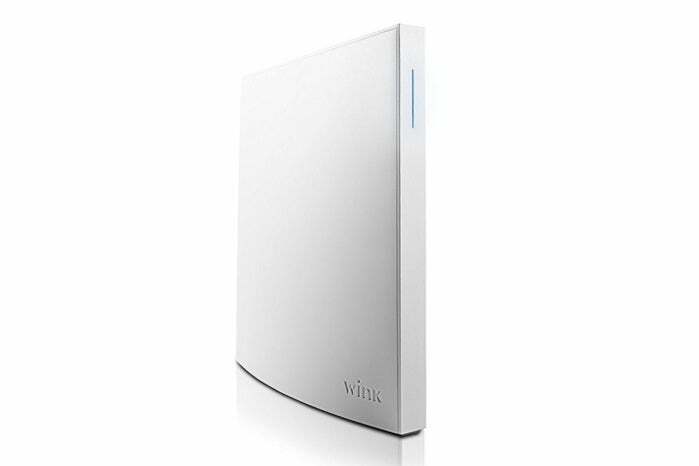 While reasonably stylish, the Wink Hub 2 is demure enough to slide in just about anywhere (although sandwiching it between books might reduce its reach). .
Once the hub is fired up and the app is installed, you’re ready to start adding smart devices on your home network. 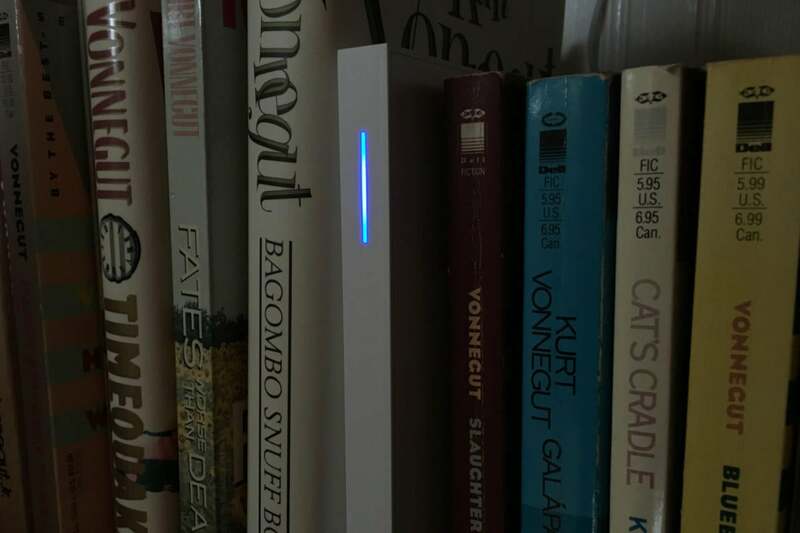 The Wink Hub 2 also offers the advantage of manual local control of hub-required light bulbs and switches should it lose its connection to the internet. Preconfigured automations will run locally on the SmartThings hub, and the same is true for the Wink Hub 2, but manual control through Samsung’s app depends on the cloud. The Wink Hub 2 has a fistful of radios under the hood that enable it to work with a whole bunch of otherwise incompatible wireless devices, including numerous Z-Wave and ZigBee products, Bluetooth LE gear, and the wireless protocols that Kidde smoke alarms and Lutron lighting and motorized window shade controls use. This hub is not Apple HomeKit compatible, however; and while it would be great if Wink could simply claim compatibility with any Z-Wave, ZigBee, or Bluetooth LE product, the smart home industry has just not reached that level of maturity. Wink’s app is quite straightforward. It automatically discovers the Wink hardware, and it’s streamlined to make adding smart home gear fairly simple, with individualized setup instructions based on the peculiarities of each product you add. The app is a bit obtuse in that, like SmartThings, it divvies up all the products it supports into categories; but it offers no way to search for your product by name. Figuring out that a Nest smoke detector was in the Alarms category wasn’t totally intuitive, for example, and adding search seems like an utter no-brainer. Alternatively, you can also scan the bar code of the product—if you have the box handy (an unlikely scenario unless you purchased everything at the same time and are installing everything at once). Once added, smart lighting devices can be split up into groups (by room in most cases) to make it easier to control lights as a group, even if they are from different manufacturers. Other devices can be dropped into groups, as well. From here, you can use “robots”—Wink’s term for its IFTTT-like automation system—so one device can affect another one. If the lights go on in the hallway, for instance, you can have the smart plug in the bedroom turn on, too. Or if the smoke alarm goes off, you can have Wink send you an email. You can also use IFTTT directly, if you’re game. I tested the Wink using products from Lightify, iHome, Lutron, Nest, Geeni, and others. 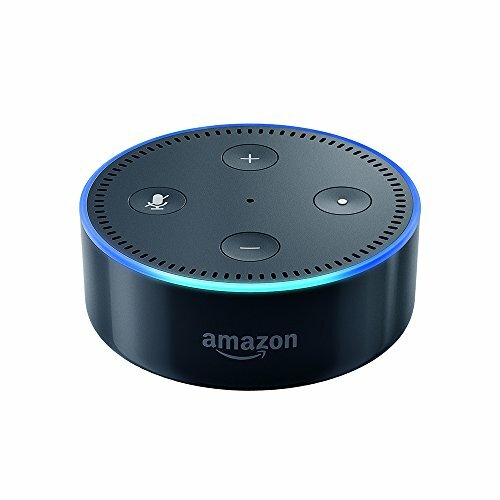 I also connected it to an Amazon Echo, which can work alongside Wink to control the same devices with voice commands. While some products are easier to configure than others (the main hiccup is resetting gear that has already been configured to work with another app, but Wink walks you through the reset process reasonably well), in every case I was able to get Wink to work. I never experienced a problem getting a robot to run, either. 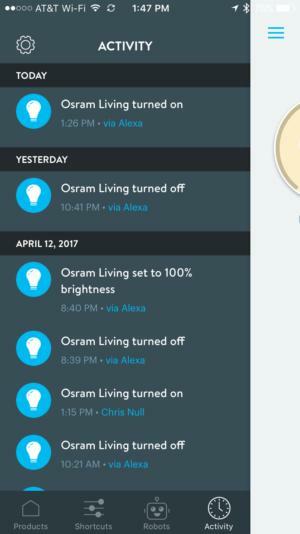 The only hassle is that Wink groups don’t pass through to Echo’s Alexa app, so if you set up a group of lights in Wink, you’ll need to create those groups again in Alexa if you want to use voice commands to, say, shut off all the lights in the living room. Of all the smart home hubs we’ve reviewed to date, Samsung’s SmartThings and Wink’s Wink Hub 2 have earned our strongest recommendations. Given that each of them costs about the same. a big part of choosing between them comes down to device support. 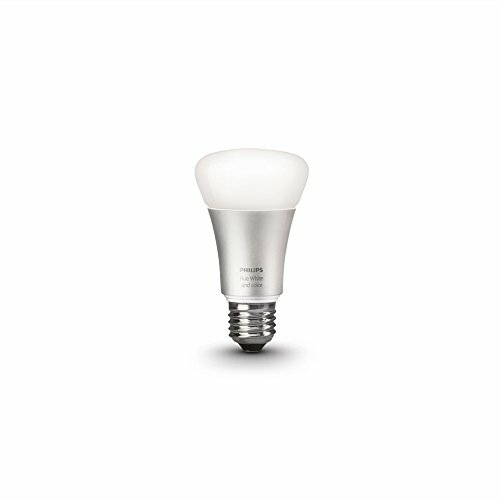 If you have a house full of LIFX bulbs, for example, you’ll want to use SmartThings, because Wink doesn’t support them. If you’re a Lutron shop, Wink is your best bet. Philips Hue is supported by both hubs. The Wink Hub 2's vertical orientation keeps its physical footprint to a minimum. Determining which hub has the best or the broadest support is difficult because the companies count products differently. Wink counts all Philips lights as one product, while Samsung counts them as four. Claims of “hundreds” of products supported are largely meaningless because of this. Wink covers most of the major product categories, though it’s missing LIFX as noted and doesn’t support any connected audio gear. On the other hand, some generic Z-Wave and ZigBee sensors will work with Wink, but this can take some trial and error on the user’s part. Of course, supported products are changing all the time, so this analysis really needs to be made individually at the time of purchase. The only major failing of the Wink Hub 2 is its lack of a battery backup. While it’s easy to argue that your smart home will largely be non-functional if the power’s out, that’s not true of battery-powered sensors, smart entry locks, and other devices with battery backups. The bigger issue is that a power outage means your hub will have to reboot if the lights flicker, which could mean some downtime even if there’s a minor surge. It takes the Wink Hub 2 up to a minute to boot and reconnect after a power cut, and that’s a long time when you just want to turn the lights back on. While you could add a UPS (uninterruptible power supply) between the Wink Hub 2 and your AC outlet, such devices are invariably bulky and ugly, and it’s just not something you need to worry about if you go with a SmartThings hub. One thing missing from both of those products: A GSM module that can provide a back-up internet connection. Next up on our review agenda: The VeraPlus, which offers both battery backup and a GSM module as options.